Applicants who fulfill the eligibility Criteria of RNSB Recruitment 2018 must apply Online before 3rd September 2018. You can check details of RNSB Peon Application Process 2018 below. Fill the required details and click on ‘Submit’. 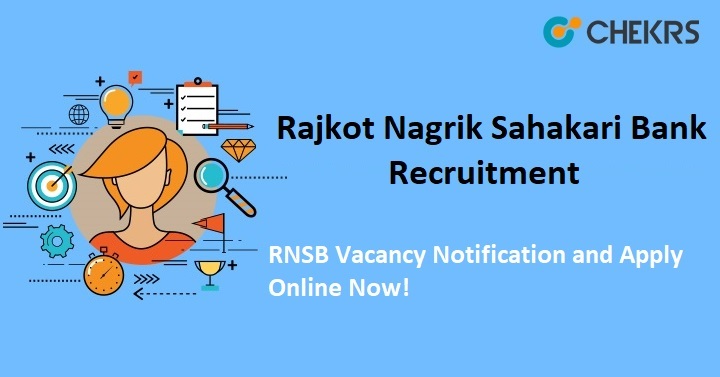 Remarks: To receive latest updates of Rajkot Nagarik Recruitment 2018 keep visiting our site www.jobs.chekrs.com. Our aim to provide to You the precise details of Rajkot Nagarik Jobs. In terms of any query or review we welcome your valuable comment in the commenting section below and our team will get in touch with you shortly.